We had to keep it a secret for months... but we were one of 6 families chosen for ABC's Great Halloween Fright Fight! 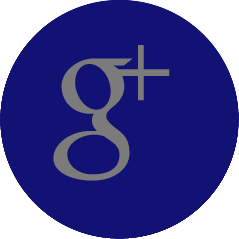 Read about the whole experience on our blog. It wasn't the only thing that happened this year and at the SAME TIME as the show - we got three new members of the Mitchell family. 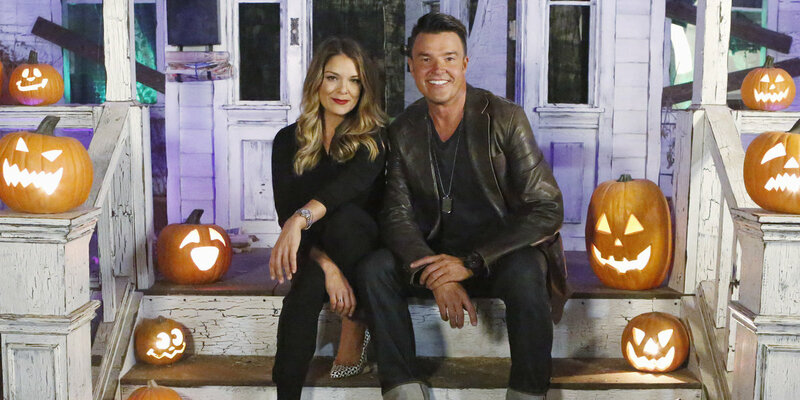 From the producers of the holiday hit The Great Christmas Light Fight, a one-hour special—The Great Halloween Fright Fight—premieres TUESDAY, OCTOBER 28, 2014 (8:00-9:00 p.m., ET/PT) on ABC. The new special will feature a number of families competing for the greatest haunted Halloween displays and a $50,000 prize. June 23, 2014 – We received a call from a casting producer for the show, ABC’s Great Halloween Fright Fight. We had not entered the completion, nor did we know about it at the time. We had been working feverously on house remodeling since the previous November and hadn’t been out to any of the haunt forums in a long while. The producer had found out about us online and asked us if we were interested. We of course said, yes. It sounded exciting! I mention that we are planning to adopt and eventually there will be some future little haunters in the family. They want to know more. We set up Skype interview for the following day. June 24 – During the Skype interview we were asked lots of questions. They wanted an idea of who we were. Since 2006 we have been doing our small home haunt called, The Mitchell Cemetery. We always try to do a different theme each year. Sometimes we would throw a party and decorate the inside as well. We told them about growing up with ghosts in very real haunted houses as kids. We told them stories of how we met on a high school journalism trip to Disney and going through the Haunted Mansion together. We told them about our artistic backgrounds and all the why’s and how’s of our Halloween passion. They request to see more photos and videos of our past Halloween displays. We get back to working on our house to get two bedrooms ready for our hopeful future family. The new shed is packed to the roof with all the Halloween stuff that got booted from the house to make room for kids. June 26 –The producers need to do another Skype interview. There were connection issues the first time around. July 10 – We get the news we have been selected for the show! We don’t know how many contestants there are, or who they might be, or where they are in the US. The paperwork begins… There are lots to fill out and submit. 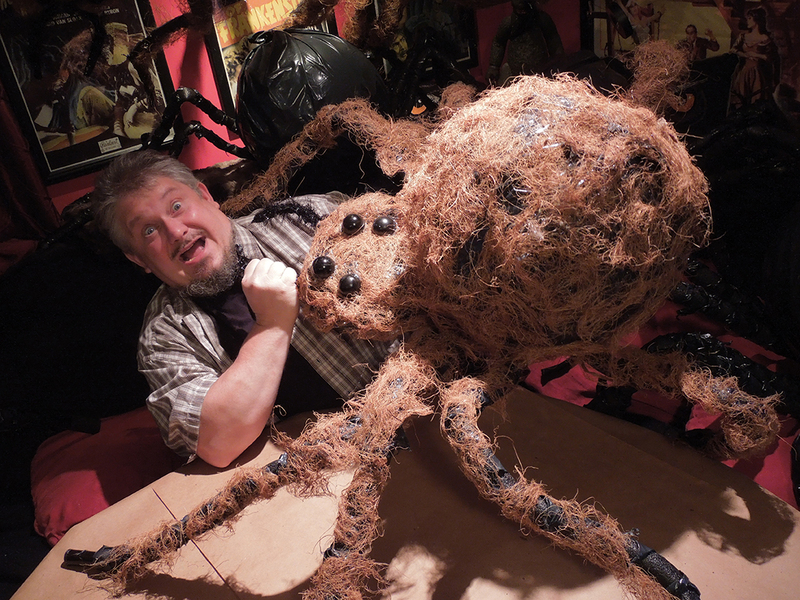 They want us to work with our previous year’s theme of, The Mitchell Spider Invasion… only much bigger! 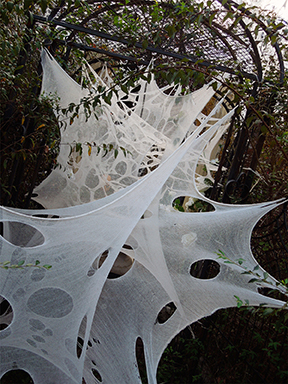 I order 50 more pounds of beef netting for the spider webs. I know it will take a lot of time to hand-cut all the webs and we need to get started. July 16 – There has been some exciting news on the adoption process! Three kids have been matched with us! We will be meeting them for the 1st time on July 23. It’s all very exciting and terrifying at the same time. And to think Shawn and I joked… “What if this happens at the same time as the show?” Odds seemed pretty remote! July 23 – We meet the kids. It’s very emotional and overwhelming for everyone. We leave knowing they are the ones for us! They ARE very young. We thought we would be matched with older kids. We will have to redecorate the rooms to match their ages. 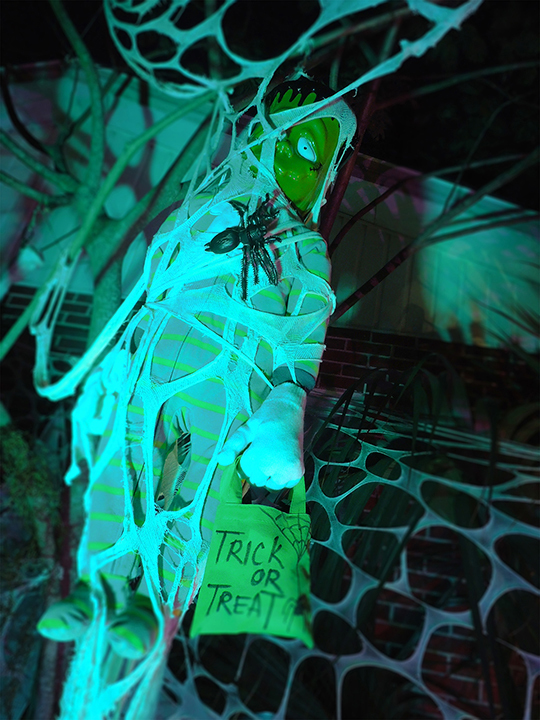 We also come up with the idea to make some really tall PVC trees to go in the backyard for our haunt decorations. It should look like a B-movie set! Off to the hardware store to get some 10 foot PVC pipes. July 25 – Local film guy is contracted to do some “before” shots for the show. We do a quick walk around telling what we plan to do for our decorating. August 1 – We have a second meeting with the kids. Their current foster family has taught them to call us “mom and dad” by using our photograph. That really blew us away when we heard those words for the first time. August 2 – We re-work the kid’s rooms and start looking for a crib. We will need to do some serious baby proofing in a hurry. In the evening, we have a conference Call to hear the show details and official rules along with all the other contestants. August 4 – Halloween decorating begins! I take off work for a whole week and do nothing but hang spider webs! Being that this is Florida, it is HOT! 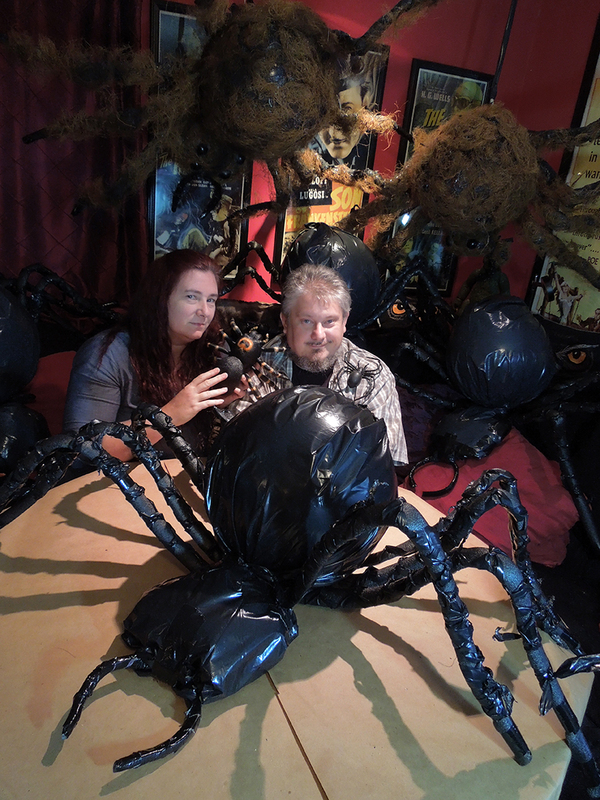 Shawn and I have to build a lot more spiders to fill these webs and work on our WOW moments in the haunt. Our neighbors, I’m sure are wondering if we have lost our minds? Why are we decorating for Halloween in August? Every time we go to the store Shawn and I have to restrain ourselves from buying every toy we think the kids would love. We don’t even know what they like yet! August 5 – We receive a handy cam in the mail with instructions to film ourselves decorating and talking about what we would do with $50,000 prize if won. We decide a family trip for our “got-ya day” to Disney, a new washer for all the future laundry, and a huge playset for the kids would be excellent ideas. August 9 – Doing the front yard is pretty easy. We basically do the same thing we did last year. We add some solid webs to block the light positions. Stay hydrated and keep working! 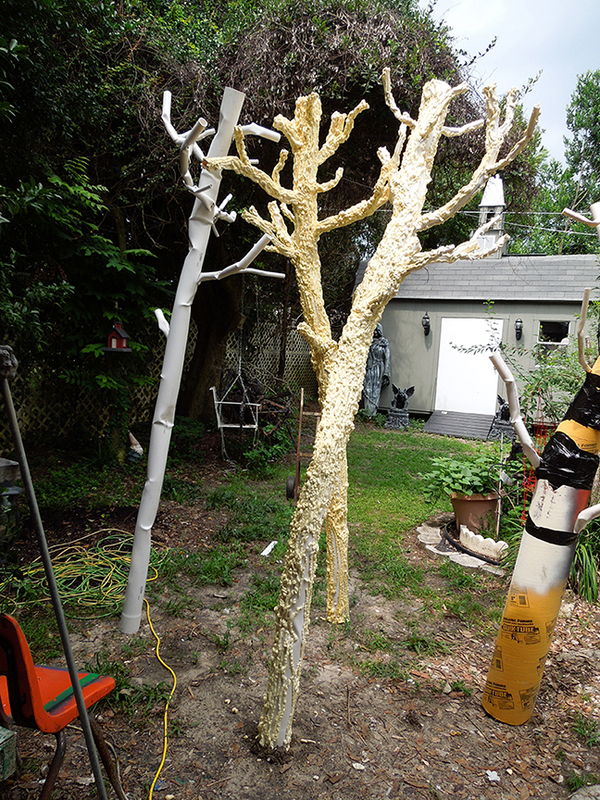 August 10 – The PVC trees are looking great. We build six of them. 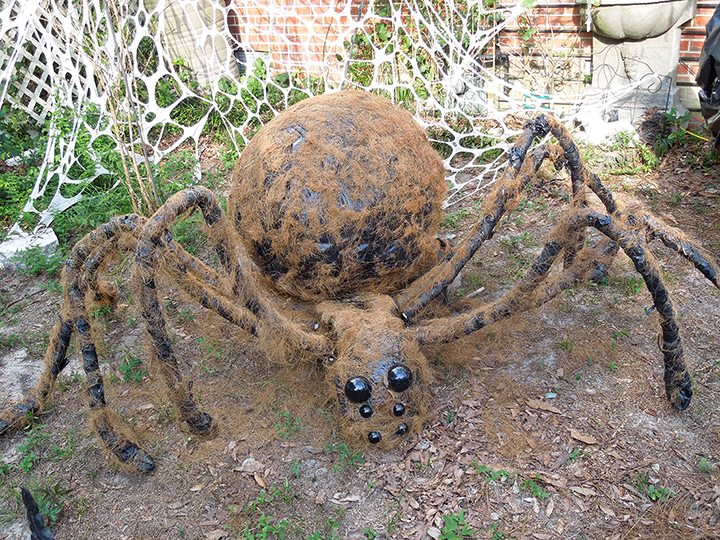 August 12 – The five foot mama spider is working. The windshield wiper motor makes all eight legs move. We know it will look really creepy when we cover it with hair and put a green trigger light on it! 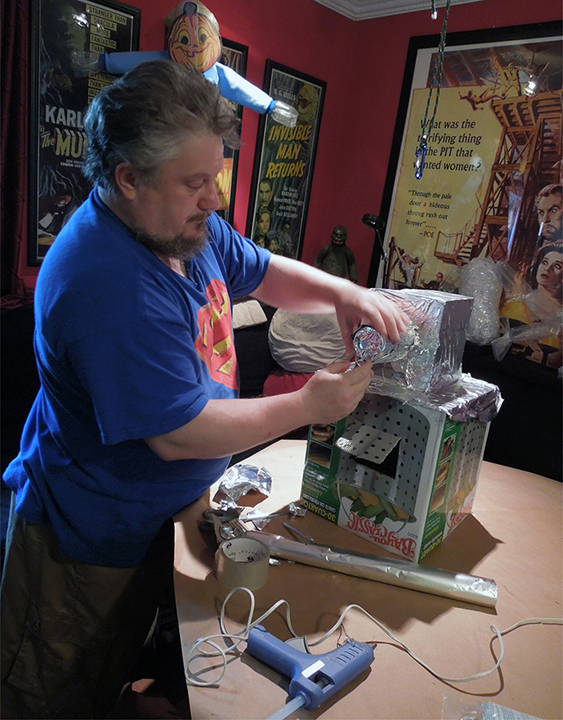 August 14 – After today, we won’t be able to build anymore props in the living room. 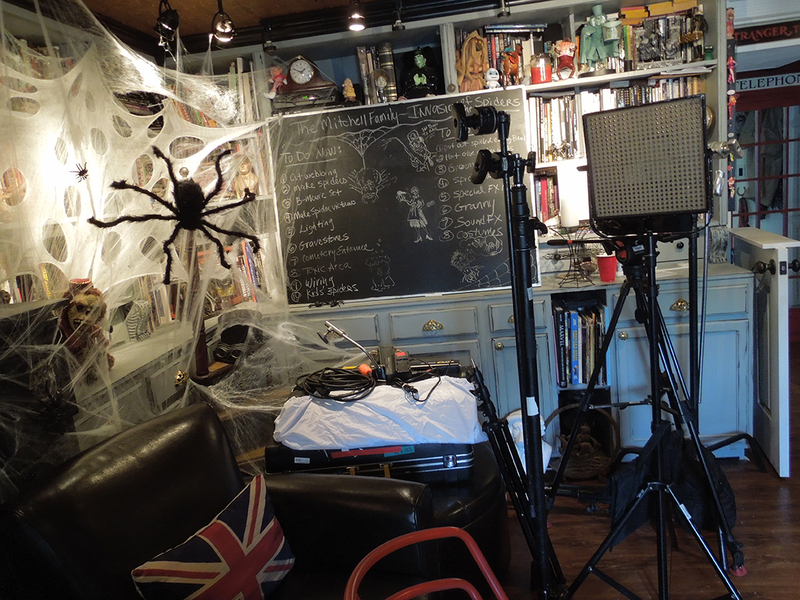 We use the handy-cam to film ourselves indoors surrounded by all the spiders we’ve made. August 15 – THE KIDS ARRIVE! There is a ton of clothes and toys to bring in and find a place for. The kids are so excited to be in a new place. We have stairs! They’ve never had stairs before. To me it looks like the Grand Canyon now exists in our house. There are so many thing to worry about now. We have five baby gates, six car seats, two fire extinguishers, and 20 or so baby locks on every cabinet and drawer. We’re not sure how we will keep up the decorating pace and start being mom and dad for the first time… but we are determined to do both the best we can. For today, there is no decorating. It’s all about the kids. Shawn and I start sleeping on the couch so we don’t wake up the kids after they go to sleep. August 16 – We plan to split up the decorating and parenting. We take shifts. They are too young and too new to stay unattended, so one of us has to stay inside while the other keeps up the work going on outside. The kids seem totally ok with all the giant spiders and the massive amount of webbing draping the entire house. That’s a good sign. They seem right at home with their first exposure to Halloween decorating. A film tech arrives to install a time-lapse camera in the front and backyards. People are slowing down in front of our house every day now. Some are even taking photos already. By some miracle the kids are sound sleepers and sleep through each night. August 18 – Pre-K starts and we take the kids to the first day of daycare. I admit I teared up when we had to leave them. They seem to be adjusting so well and take everything in stride, much better than I. I had not so much as changed a dipper before they moved in. Every day is a learning lesson. Work on the backyard begins. We need Granny’s shack, a cemetery, toxic waste area, mama spider area, place to put the web victims, fencing to keep the audience where we need them, the new creepy trees, the projector… the amount of work to do is staggering. August 20 – More trips to the hardware store for more lights, bulbs, and extension cords. We never seem to have enough lights! We also have never done the front yard and the backyard to this extent and we are not sure if the power will stay on once everything goes live. We try to focus on getting a good overall look with the lighting we have. More trips to the store for bananas and dippers. Cannot have too many of either of these! August 21 – While Shawn watches the kids, I go out and move lights around trying to get the best coverage. I keep adding more webbing to finesse the look. August 22 – Kids up, kids fed, kids go to daycare, we go to work, pick up kids, feed kids, play with kids, bath time, bed time, prop time, decorating time, sleep. Restart. 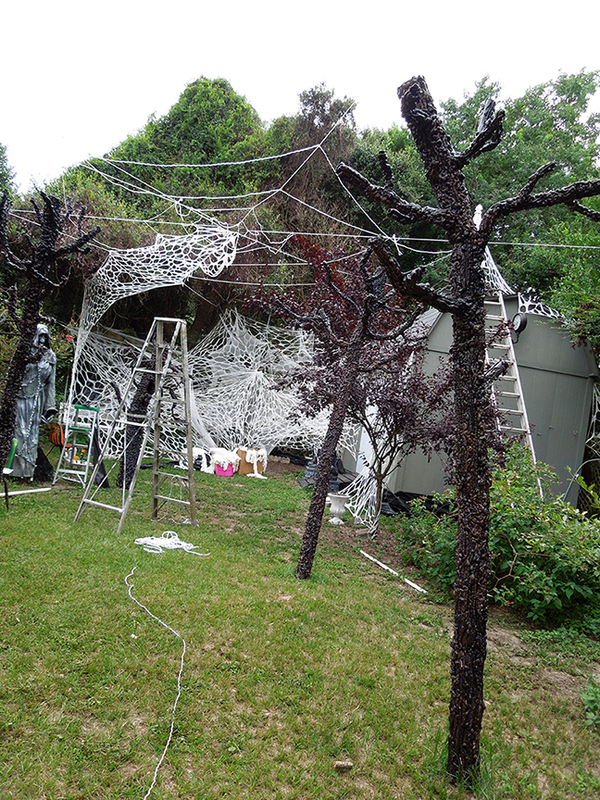 August 23 – The spiders are done and going up. People are starting to ask us a lot of questions. We can’t tell them anything except we are on a haunt competition reality show coming up. Recruiting people to show up on judging night without being about to tell them the name of the show is hard. Everyone at the vet says they will come! Chicken nuggets and pizza seem to be the kids’ favorite foods. Shawn is an excellent cook and will have to introduce them to more foods when we get to a slower pace. August 24 – One of the kids is home sick. While he is watching cartoons, we build the web victims, they will be all the little trick-or-treaters that didn’t get away, plus a few adults, that include the town sheriff, and a nosy neighbor. We will hold up hanging these in the webs for filming. August 25 – Must remember to use the handy-cam to keep filming us! Turn a rotisserie into a spit for granny to roast a spider on. At this point, making props has to be done at night after the kids go to bed. August 26 – While I watch the kids Shawn goes out and sets up Granny’s shack, and the toxic area, and covers all the electrical cords with pine straw and leaves. August 27 – Shawn’s birthday. We turn the new shed into a church next to the cemetery. An old woman prop stares out the window at the spiders taking over outside. She looks really great at night. 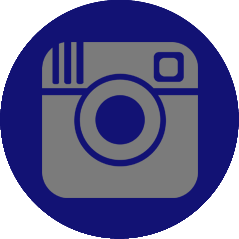 August 30 – Last looks and more testing. 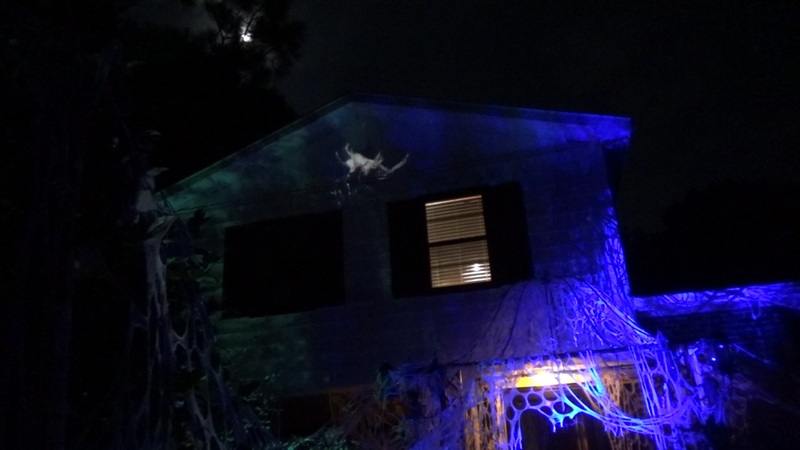 Two projectors will be used for projecting huge spiders on the house and shed. Still hot! September 1 – Producer arrives in town and meets with us to discuss the next day’s schedule. September 2 – FILMING starts! Crew arrives and starts planning out their shots. We begin the momentous task of juggling getting the kids up, fed, and off to daycare in the mornings, then into haunt-mode. Our sound guy mic’s us up and cameras start rolling. We have to learn where to look when speaking. Try to sound natural. It’s just a conversation. Do what we do best. There are lots of takes for every shot. I nearly lose my voice, but carry on. I have to redo several lines because my voice starts cracking. Poor sound guy! I’m sure he is cringing secretly. Being exhausted doesn’t make for the best interviews… but that’s part of the challenge. High energy! Show us what you can do and why your work won you a spot on the challenge. Filming a TV show is really hard work– for those on film and those doing the filming. You will start early and end late. There will be interviews, prop work, clothing changes, more interviews, and lots more decorating until the moment the judges arrive. Shawn is great with coming up with one-liners and I know every in and out of the TOC_memorialsetdisplay. The Florida heat puts an early end to several props which stop working the night before judging. Oh well… keep going. When the kids are home from daycare we get some close friends to watch them while we continue filming. We owe them big time for it! Thank you! Thank you! Thank you! September 3 – The large boom camera arrives by truck and is put into place. Can’t wait to see what that does! The police have blocked off both ends of the street in front of our house and redirected traffic. The crowd gathers in the light rain and heat to wait for several hours until the judges arrive. There is paper work for them and interviews to help pass the time. Shawn and I get into costume again. Local film crew also arrive and do their interviews. 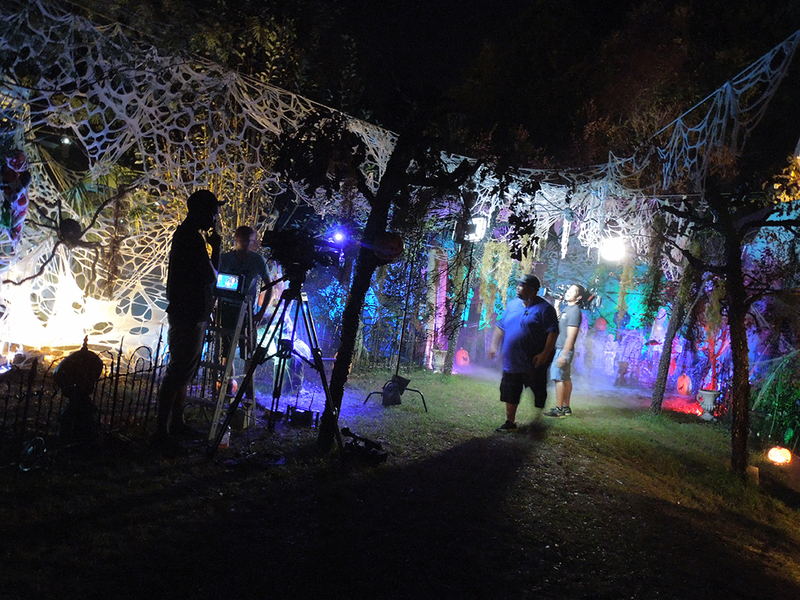 Cameras continue filming the haunt display from all kinds of angles and lighting. The sky starts looking like it might let loose a storm at any moment. The crew is watching it carefully. After another hour it clears up and we all keep going. The gathered audience is in place. We do the crowd shots. Be sure and don’t look at the camera! Talk to the crowd. Get some close-ups and overhead shots. In the upstairs window we can see the silhouettes of the kids watching us down below through the blinds. It’s too bad we couldn’t film them for the show. The big moment is here. The judges arrive! They get out of the car, everyone cheers, and we tell the judges the story of why we do all this. Then they step back and we do the arrival moment three more times to get just the right shot. Then, we take the judges on a tour of the Mitchell Spider Invasion pointing out various techniques and points along the way. Shawn gets in a good scare with his Acme bug sprayer when he sprays Sabrina on the back of her leg. She screams and Michael laughs. They both meet Granny. Granny is always the life of the haunt. She tells them that she loves kids… right next to the mash potatoes and peas! Granny has been busy catching spiders. She has one spider turning on a spit and a bubbling pot of spider soup. The judges love Granny! They pose with some of the props and point out their favorite scenes. The giant motion triggered spider goes off. The light comes on her and reveal all of her legs are moving. Behind her in the trees are the unlucky Trick-or-treaters who didn’t make it out. They are wrapped up in her giant web. It is a lot of fun. We do the tour two more time pretending to do the same steps and conversation each time. The judges are used to doing this and we follow along trying to remember what we did the first time around. The night does seem magical. Who would have ever thought that our little home haunt would make it this far? After a few hours, the judges leave, and the crew packs up for the night. We both lay on the couch going over the night in our heads trying to remember every moment that was funny or that we thought went really well. One prevailing thought is, that we can’t wait to find out who the other contestants are! September 4 – After we take the kids to daycare. We have a few hours break before the crew returns again. Then, more filming for anything we might have missed the first couple of days. More interviews. Late night before it all draws to an exhausted close. You really get to know the crew in the short time they are with you. They really help coax the best from you. It felt really sad to say goodbye. We thanked them for their hard work and putting up with the Florida heat and mosquitoes. For several more days and nights we’ll think about all the small moments of the experience. We’ll think of things we wish we could have done better. We’ll wonder what it would be like to win and if we could have done more? Most of all we are relieved that it is over and it’s out of our hands. We can’t really rest… we have three new additions to our family that need our full attention. If we weren’t so tired, we’d be scared out of our minds! September 15 – We plan to leave up our display all the way to October 31st. 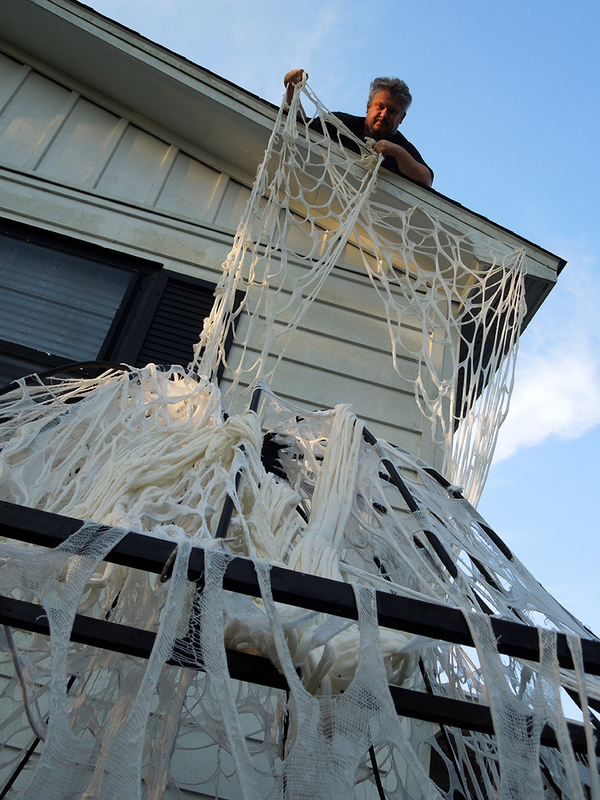 Not sure how it will look by then, but there is no way we are taking it down only to put it back up again for Halloween! I know that we need to finish, How to Haunt Your House, Book Four before the show airs. It’s has all the spider projects in it and people might be interested. A whole nation of people will be looking at us. Some will want to know more about our work. Get to work to finish it! Also, need to go out and take our display photos and videos after the kids go to bed. Still really tired, but must do it! 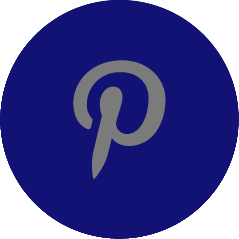 October 10 – Our story is on Pensacola Today. 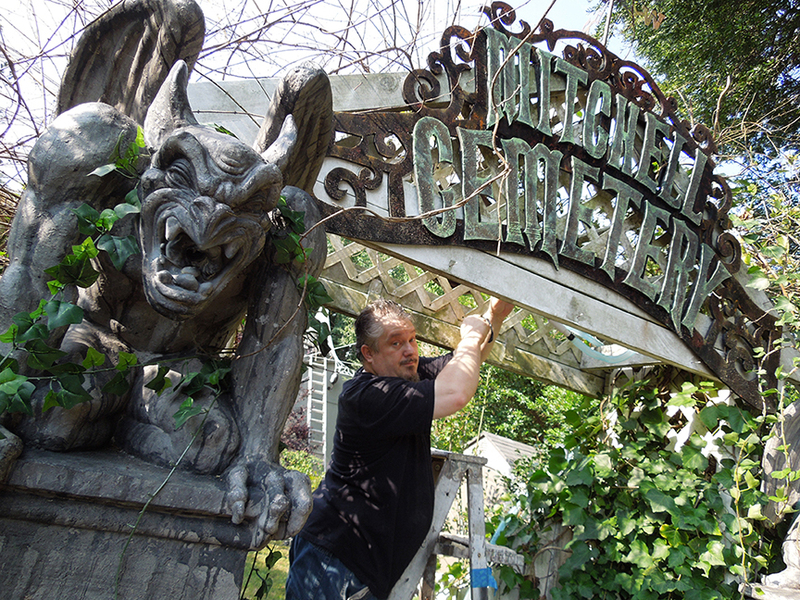 We can’t mention the name of the show, but they can know we are part of a national haunt competition. Shawn and I decide we need to open our haunt up each weekend until Halloween. We hope this will help keep the crowds manageable on Halloween night. Normally, we only open October 31st. October 15 – ABC releases a press release on who the 6 contestants are. Some of them we have heard of, some we haven’t. We of course, Google each one to get an idea of what kind of haunt they might have. I pick out my choice as winner to be Haunted Overload in NH. I’ve heard his story online and know what goes into his haunt is masterful. Or the winner could be, Hollywood Haunter. 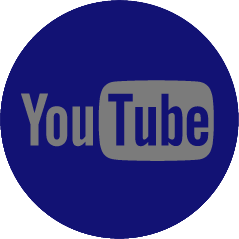 They have some great YouTube stuff too. 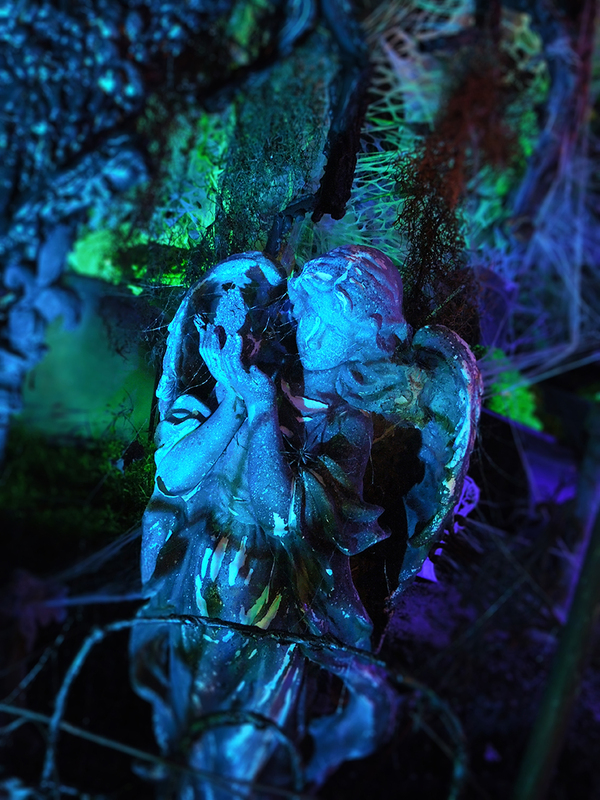 Husband and wife duo, Chris and Jeana, are professional set decorators who use their Hollywood know-how to construct an entirely new haunted facade in front of their house every Halloween. This year they’re hoping to bury the competition with a traditional haunted house design, complete with coffins custom fit for the judges. Eric always loved scaring people, so together with his wife Janice, he built a larger than life haunt on a sprawling wooded farm. 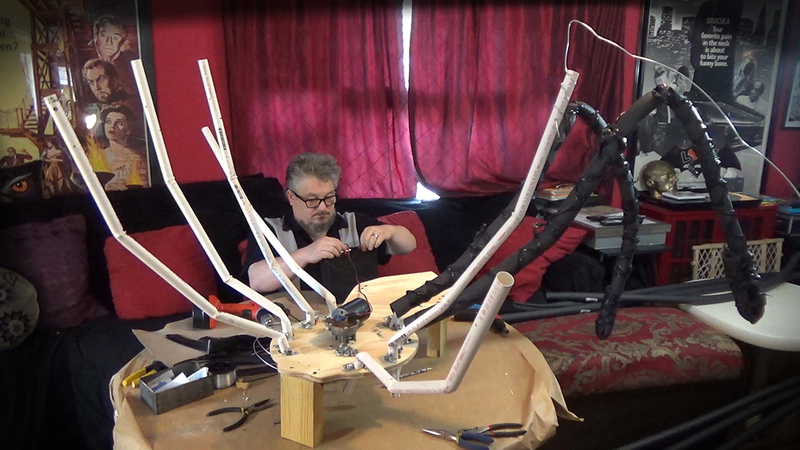 Using mainly organic materials, giant props are crafted up to four stories high. 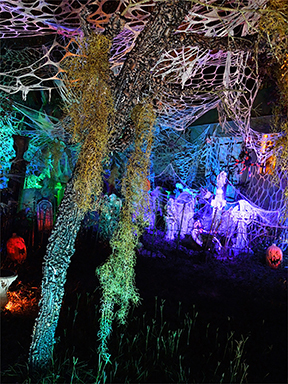 This haunt is sure to overload your senses. On a lakeside cabin resort, Dave and Andy create a handmade drive-thru haunt spanning their 4 acre property with a variety of unique displays from a Day of The Dead area to a carnival zone with clowns. Using Andy’s expert graphic design skills and Dave’s construction know-how, the pair has created a world of eerie neon characters, waiting for you behind every bend. Every year the Pirate Ship of Celebration Florida brings thousands of visitors from nearby Disneyworld to enjoy this pirate themed haunt. Creators Neil and Julie construct a life size pirate ship inhabited by pillaging pirate skeletons that completely covers their house. Prepare to walk the plank! 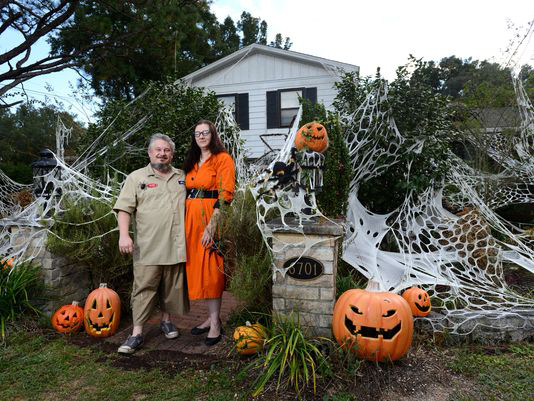 Halloween is a special time of year for Shawn and Lynne, they got married on Halloween and love creating DIY home haunts from scratch every year. 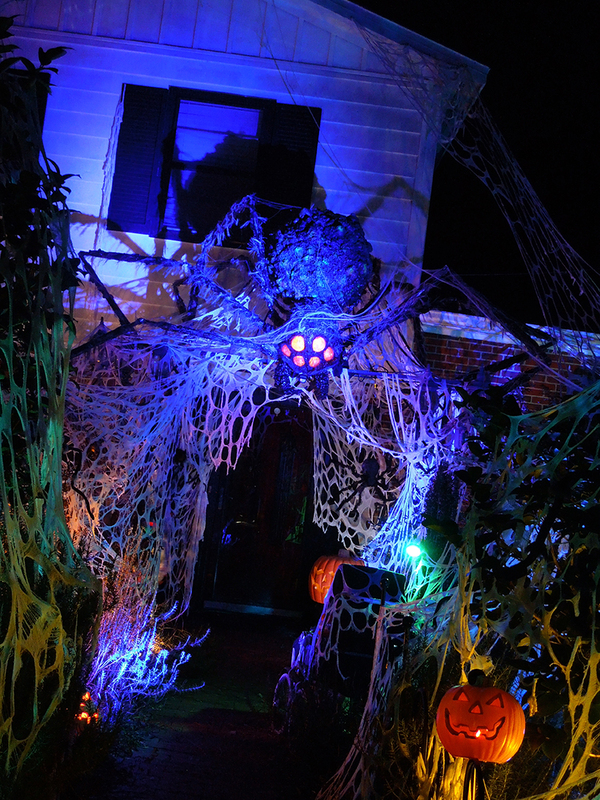 This Halloween, the couple is taking arachnophobia to a whole new level as giant mutant spiders invade their home, trapping trick-or-treaters inside their massive webs. Horror movie buffs Anthony and Toby, along with their 12 year old daughter Ava, use magic and practical illusions to make their gory backyard maze feel frighteningly real. 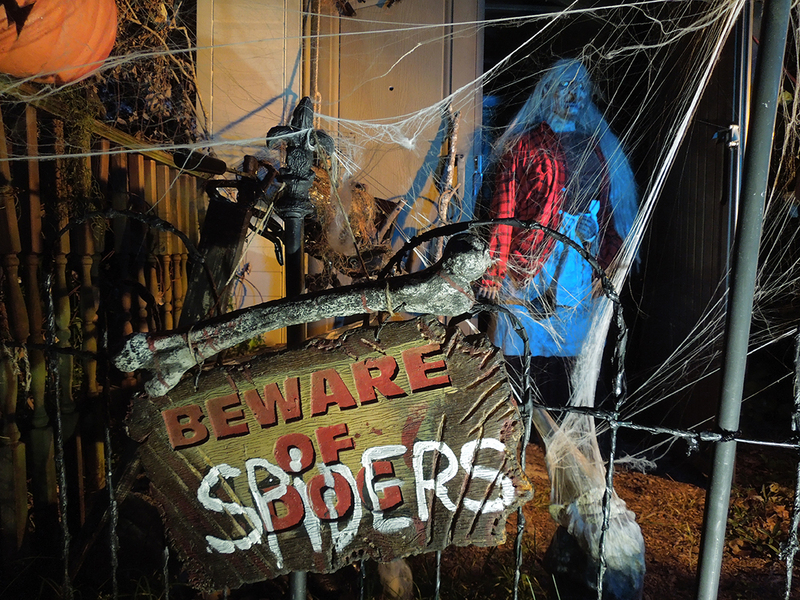 Scare actors will send you screaming, but if you can slow down enough to not run away, you’ll get to appreciate all of the fascinating details, like a homemade elevator that takes you down a mine shaft to start the tour. October 26 – I publish, How to Haunt Your House, Book Four, just in time for the show. Attempt to cut the grass one last time before the big night next Friday. 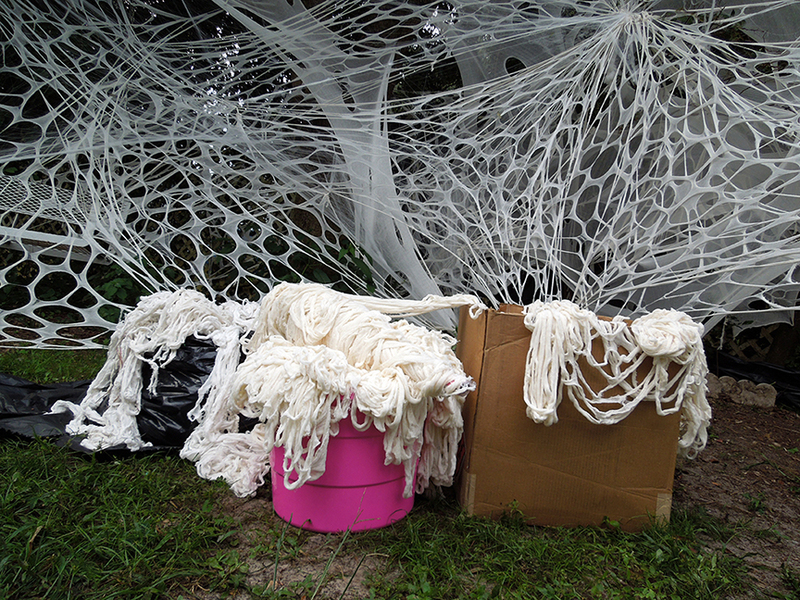 Before I can finish a lady stops to ask how we made our spiders. The high school is doing a Halloween dance and they would be perfect. October 27 – Christian Garman (news anchor) Pod Cast interview airs. Local news spot about us also airs. People start showing up at our haunt at night. About 20 people come by and take a tour. I meet some great home haunters from Alabama. Shawn and I post on our website that we will be open each night until Halloween. We are starting to worry about the potential size of the crowd on October 31st. 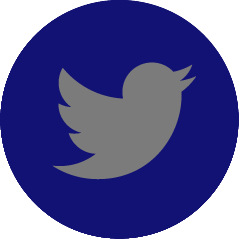 October 28 – The show airs. I stand five feet from the TV and hope we aren’t on first. The kids are in bed already so we record it so they can watch it the next day after daycare. 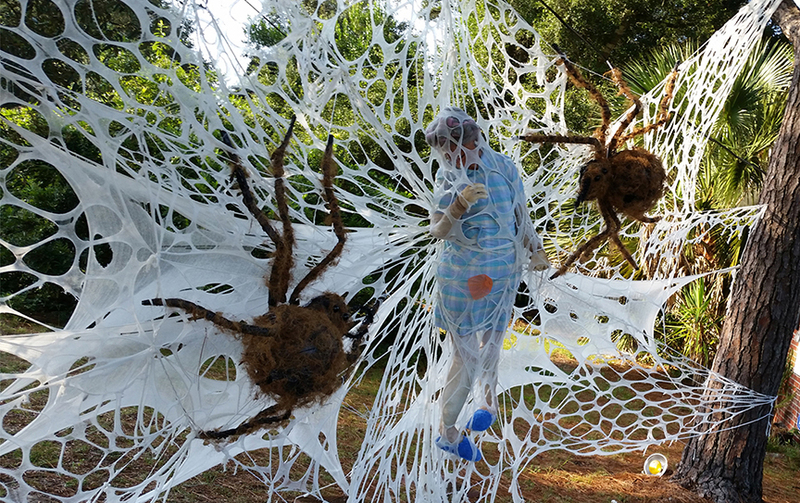 Pensacola, Florida and The Mitchell Spider Invasion begins… we can hardly contain our excitement! Will my voice be terrible? Will we look too tired? Will our display look good? Outside we notice there are people taking a tour of our display. With some guilty feelings, we don’t go outside to talk with them… the show is ON! Don’t they know it? When our part in the Great Halloween Fright Fight is over, I feel a great sense of pride. We didn’t look nearly as bad as I feared. Our little home haunt seemed HUGE! We seemed to be on air for a long time. All the best parts were there. Granny, the moving mama spider, the spider spinning the cat, the tons of webs lit with all the color lights…even Boo, our cat, made an appearance. Our ten minutes of fame distilled from three days of filming looked pretty amazing. Did we win? No. But who could go up against a live headless horseman, on a hill, in the fog? That was pretty awesome. Haunted Overload was the winner. Though, in my book, Hollywood Haunter’s was also the most photo-worthy with their classic haunted house facade! October 29 – Our Facebook page is getting a ton of friend requests. Outside, a lot of pine straw has fallen into our spider webs. 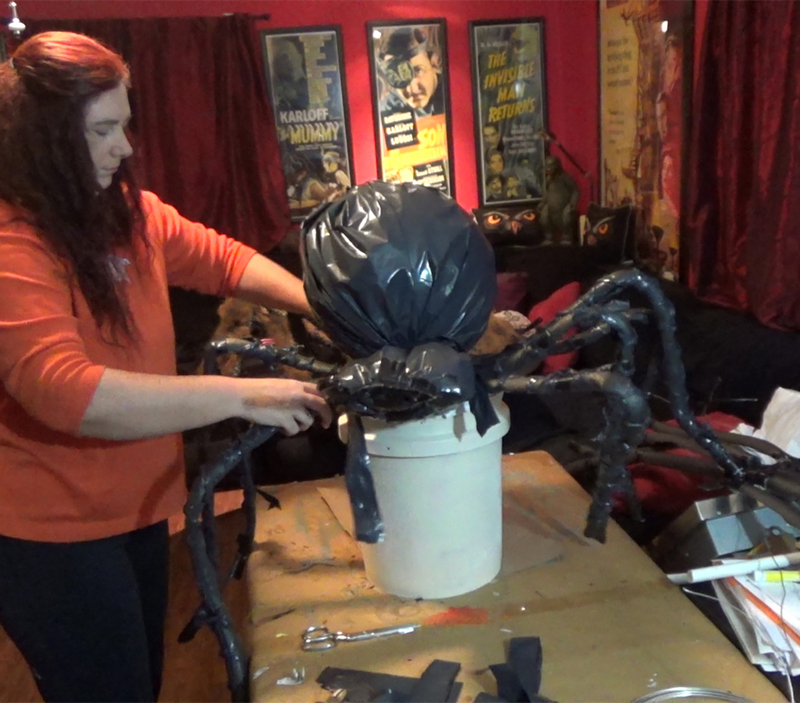 Some of the duct tape has melted on the spiders and their stuffing is starting to show. I go out and do a quick patch job to fix things up. Energy level is still pretty low and it is hard to go out and take more photos. We still have one more big production to go through. Halloween night is still approaching. These props have been out in all-weather since August. They have held up pretty well. They have aged about three Halloweens worth in that time. More people show up at night. It has been great meeting so many people who love Halloween. October 30 – I have to admit I was feeling Halloween-drained over the past few weeks. I had even swore this would be the last Halloween for a long time. Sheer exhaustion was still sticking to me since the long haul of decorating and filming and getting 3 young kids. But, over the past few days, meeting so many people who shared our interest, I started getting the inspiration back. Ideas for next year started sneaking into our heads. Projects the kids could do started getting jotted down on paper. We should start a blog. Record the whole process from idea to completion! During the night tour the mama spider’s motor gave out. No more performance from her… but she did well to last as long as she did. I totally understand. She gave her all. October 31 – We are in the Pensacola News Journal newspaper. People have been stopping by all day to take photos or tell us they saw the show. A school bus stopped in the front of the house and a lady took a quick selfie in front of our display. At 5pm the people started coming, then building until it was back to back crowds non-stop until almost 11pm. We are not sure how many we had, but we know it was more than ever before and we estimate over 2000 people came this year! It WAS worth it. People came from all over, even from bordering states just to come see our little home haunt. Several times we heard a kid come through the gate quoting granny from the show, word for word. That was so funny! Kids weren’t the only ones in costumes. We saw some great costumes. So many people thanked us for doing this. People shared their stories. Granny told some stories! The kids, our kids, ate a lot of candy and stayed up late. Halloween 2014 came to a successful close. The lights were turned off and everything unplugged one last time. Tomorrow this baby is coming down! The spider theme is never happening again. No more spiders! For us, we DID win. We have the family we’ve always wanted. We went from two to five overnight. We went from Lynne and Shawn to Mom and Dad in a blink of an eye. Suddenly Halloween takes on a whole new potential. We have our own little monsters, future home haunters, and little goblins. We have someone to take trick-or-treating and the best reason of all to go all out on decorating! Yes, we have, up to now, done it for the neighborhood kids and families. But, not having our own kids was always a bit sad. This year, we stood before the world on national TV, as Lynne and Shawn… but from this point on, it is as The Mitchell Family. In all the years from now, we will all look back and say, remember when we were on, The Great Halloween Fright Fight in 2014?… That is when you guys came into our lives. That was the Halloween that started it all! Everything up till then, was just practice.